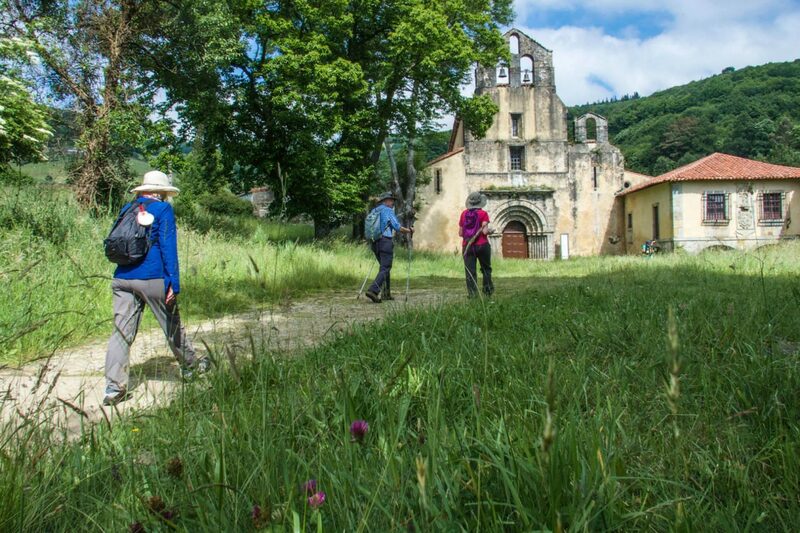 The oldest of all the Ways to Santiago is the “Camino Primitivo”, following the route taken in the early 9th century by Iberia’s reigning Christian monarch Alfonso II, from his court in Oviedo, to visit the recently discovered Apostle’s tomb in the far Northwestern corner of the Peninsula. 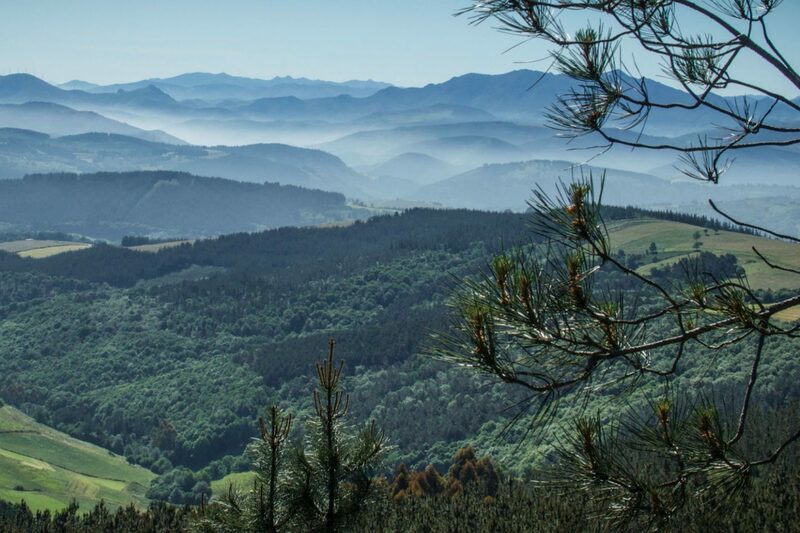 Starting in the stately city of Oviedo, capital of Asturias – Spain’s greenest and most mountainous region, the Camino Primitivo heads westward across forested hills, rich pastureland, verdant valleys and high passes on its way to the former Roman city of Lugo, before merging with the Camino Frances near Santiago de Compostela. 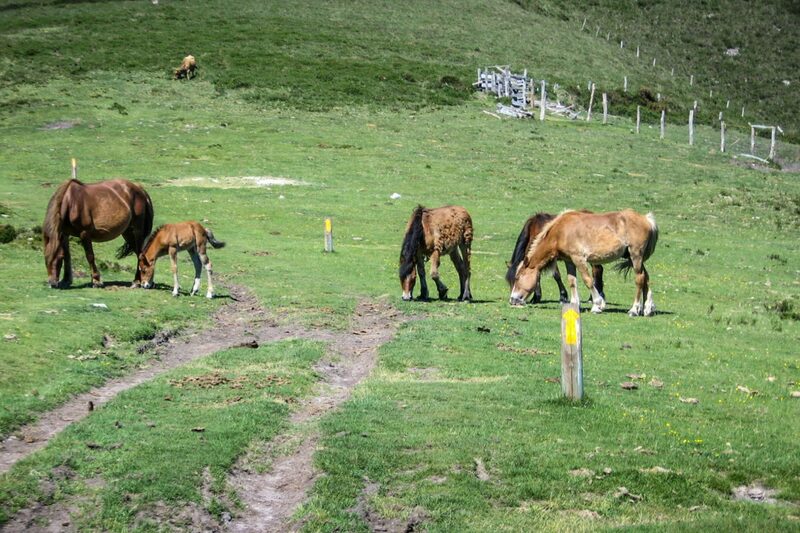 The natural environment is a major highlight, as many stretches of the Camino Primitivo cover mountainous, remote and wild landscapes with relatively few towns and villages, while still offering plenty of interesting artistic-historical sites. The more challenging terrain and relative scarcity of services results in noticeably fewer pilgrims and a sense of authenticity often lacking on the much busier French Way. 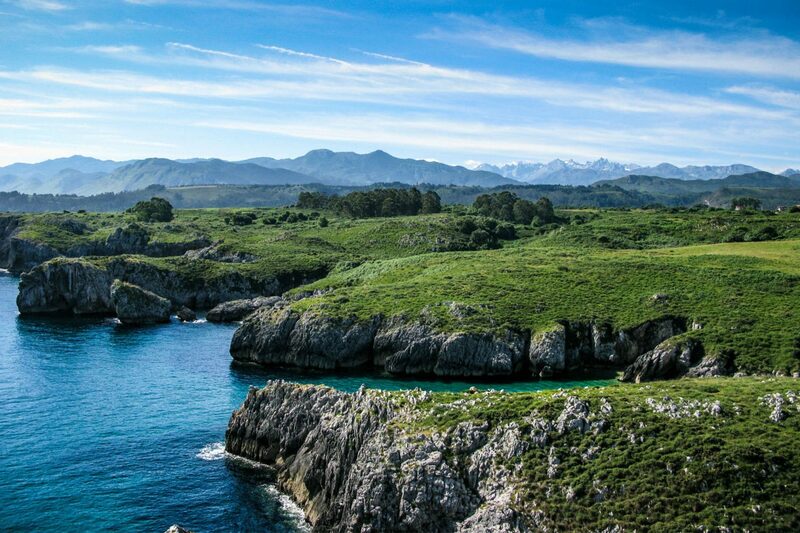 In 2019 we are offering a special guided trip that combines 2 days of walking on the most beautiful coastal sections of the Camino del Norte before beginning the Camino Primitivo. You’ll experience the best of both worlds – sea and mountains! 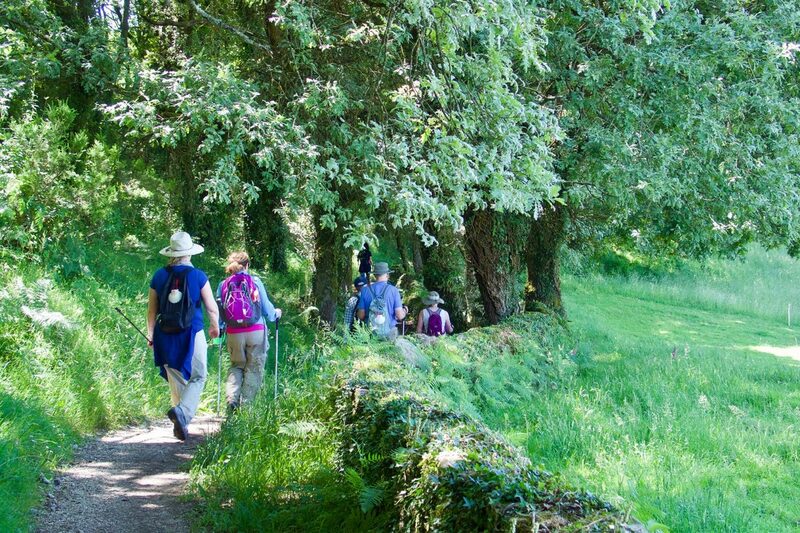 Depending on your available time, choose 1 of our 4 self-guided trips on the Camino Primitivo. All begin with a 1st night in Oviedo, followed by 1 – 4 days walking the best sections of the Camino between Oviedo and Lugo. From Lugo onwards, you’ll walk 5 days to cover the final 100 km to Santiago de Compostela and qualify for the Compostela certificate. 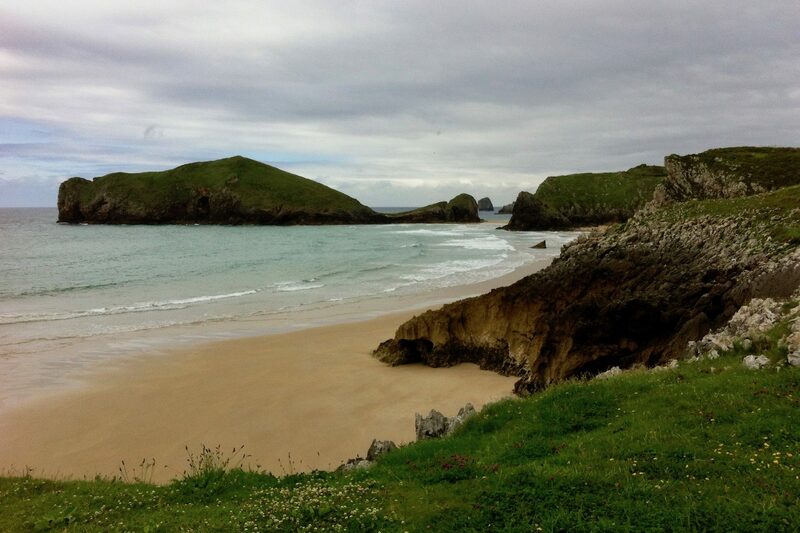 All 4 trips can be also be combined with our optional “Coastal Camino Add-On” of 2 days of walking on lovely seaside trails of the Camino del Norte prior to starting the Camino Primitivo. Start in Bilbao, capital of the Basque Country and home of the amazing Guggenheim Museum, then enjoy 2 days of walking on fantastic coastal trails of the Camino del Norte in the province of Asturias before arriving to Oviedo to begin any of our standard trips on the beautiful Camino Primitivo.